As most of you know, back in July I took part in a phone photography course. It has made me look at my phone in a whole new way! After the course was done, I took advantage of a discount promo that was offered and ordered some 2×2 prints of the photos I liked best. When they arrived I was really impressed with the quality and put them in a box to peruse whenever we are moved to do so. Now those of you that know me really well, know that prior to the digital photography days, I was quite organized with my photos. I got them developed and diligently wrote on the back of each one the date and who was in the photo and where it was taken. They all went into albums in the order they were taken. I know! 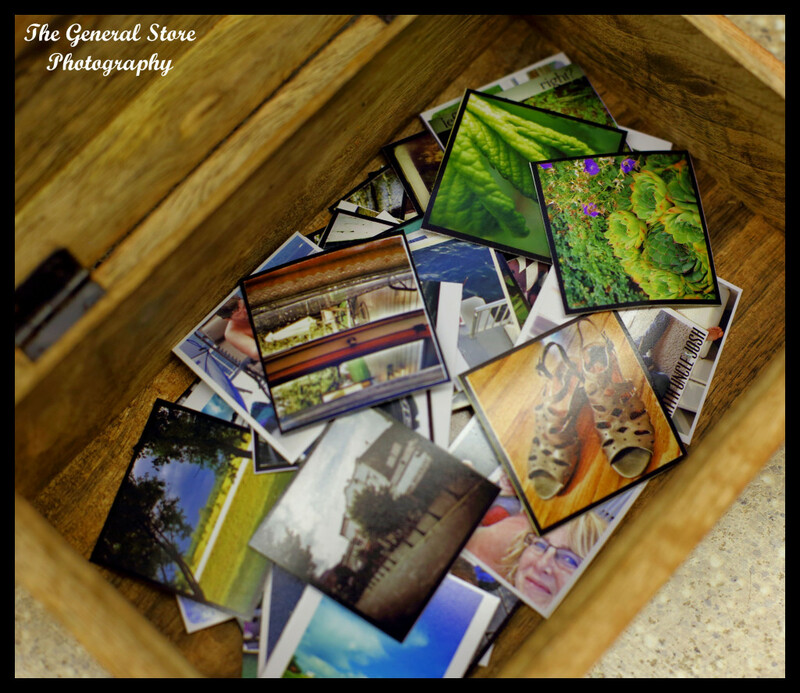 So this throwing of photos in a wood box is quite impressive for someone addicted to a level of order in their lives! Aren’t you impressed?